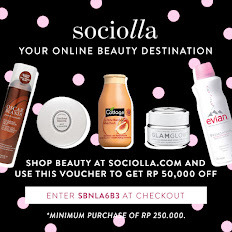 Of course we all familiar with this make up items, yes? 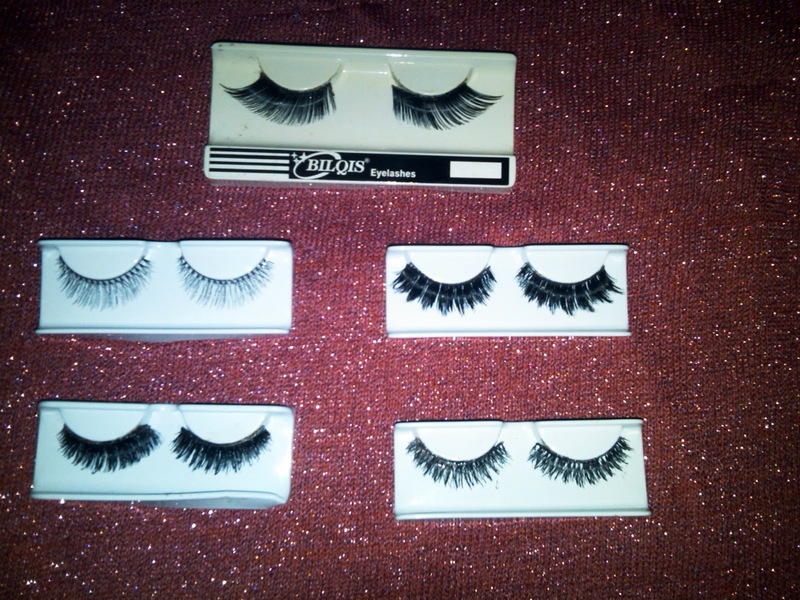 Here's a few of my fake lashes supplies in my makeup drawer right now. 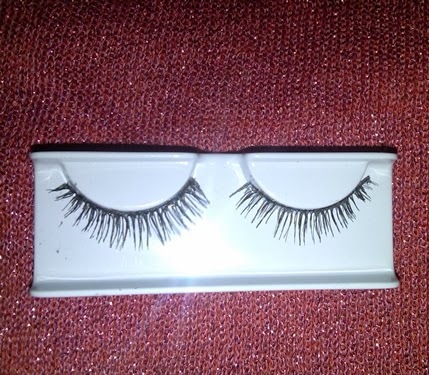 There are a LOT of fake lashes types we all know that. Either it's winged out, crossed, or thick and full. My kind of favorite false lashes are the one that has short lashes. 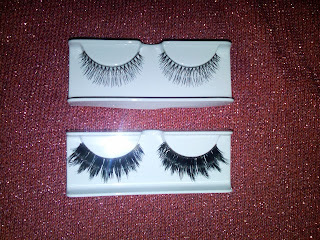 So i usually put 2 layers of short natural looking fake lashes into one, to create a thicker natural looking lashes. It does wonders, btw. 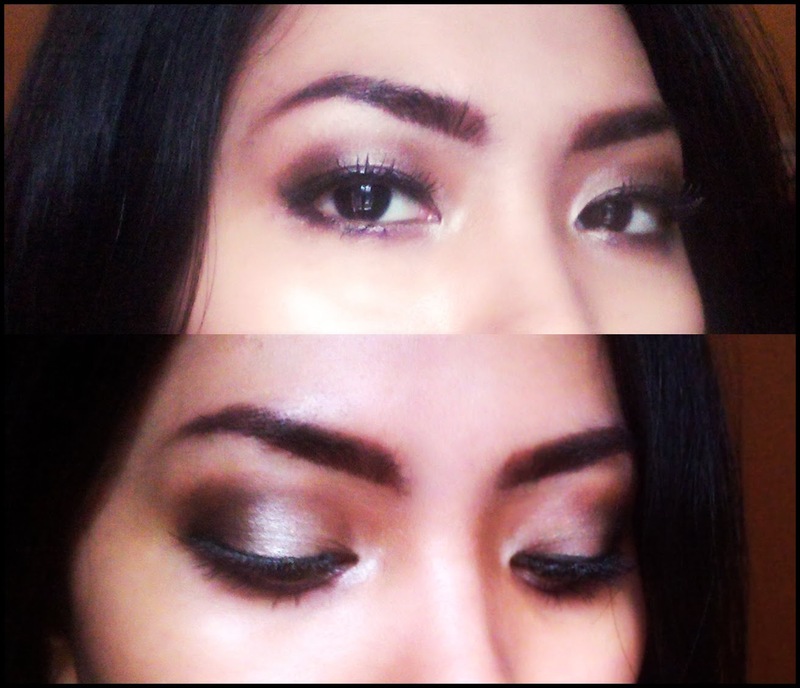 And yeah, to maximize our makeup look, sometimes we have to double-layered our fake lashes to achieve that. Because sometimes a thick fake lashes has a very long lashes. I kinda think it look too much and heavy and it is special occasion property. Well, sometimes we all had that one drama day when we're running out of supplies, don't we? So how can we achieve the goal to achieve that amazing lashes? 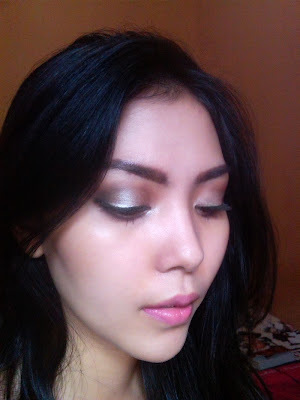 Relax girls, right now i' m just going to give you tips on how to maximizing your eye makeup with only one natural looking fake lashes.I learn this trick from makeup artist i' ve worked with. 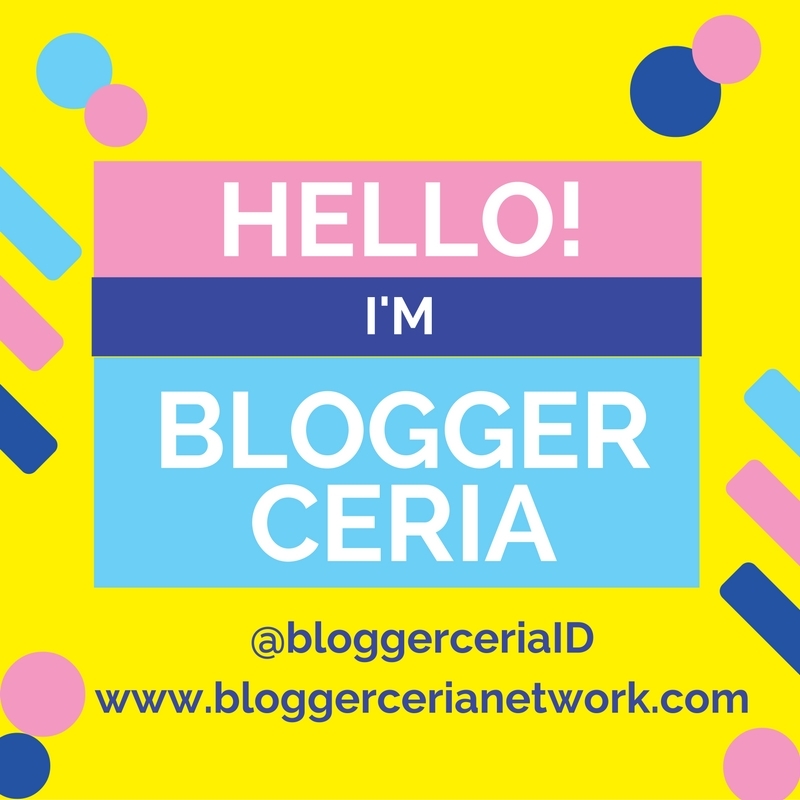 And now i' m sharing it with you! now let's start with applying your eye makeup like you usually do. 1) apply your usual eye makeup, don't forget to coat your lashes with mascara. 5) Now pay attention: after the glue half-dry, take a small (and not sharp) object to stick your lashes into the glued lash-line. You can use your pencil liner or the other side of your brushes, like i did. Carefully, just follow your lash line and stick em together. 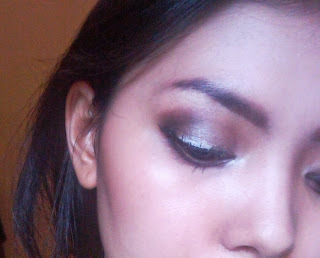 6) Now let's check the left eye where i already stick the lashes to my lid. While the right eye weren't. You can see the difference, right? 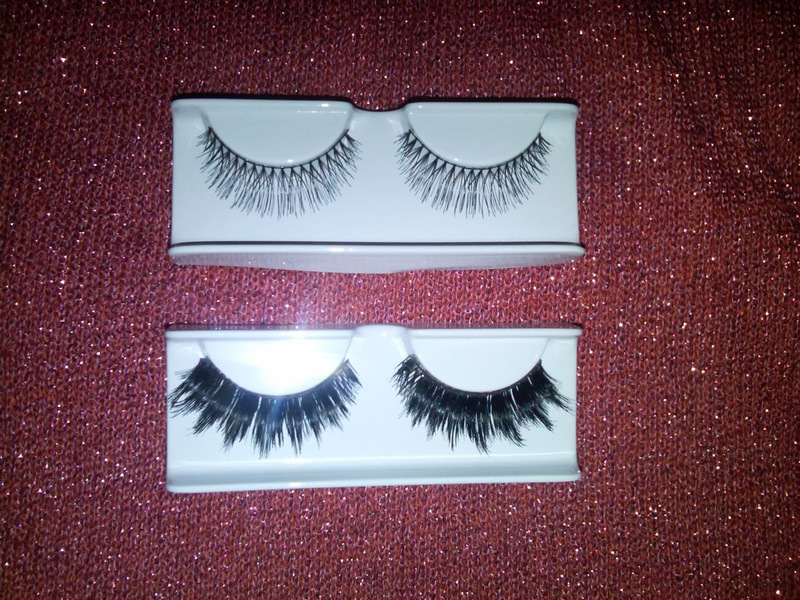 7) The left lashes are up-lifted, while the right lashes are still hanging down. 8) After i finish with both lashes. 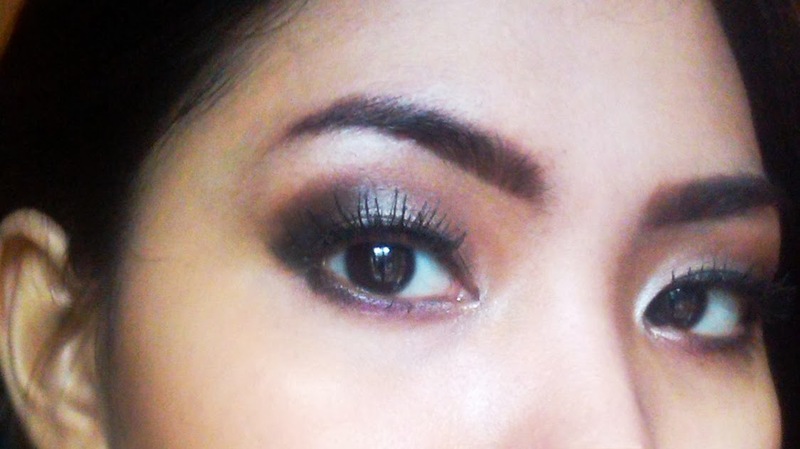 Notice that the lashes are now stick to my eyelid. 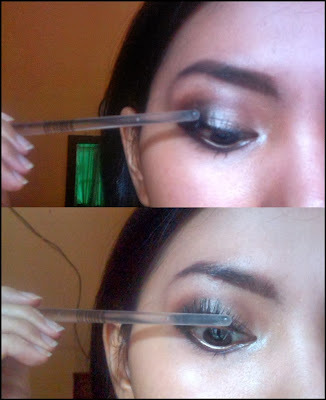 Apply black liner along your lash line. And apply black eyeshadow along your liner to make it matte, or when you still have a glue mess. 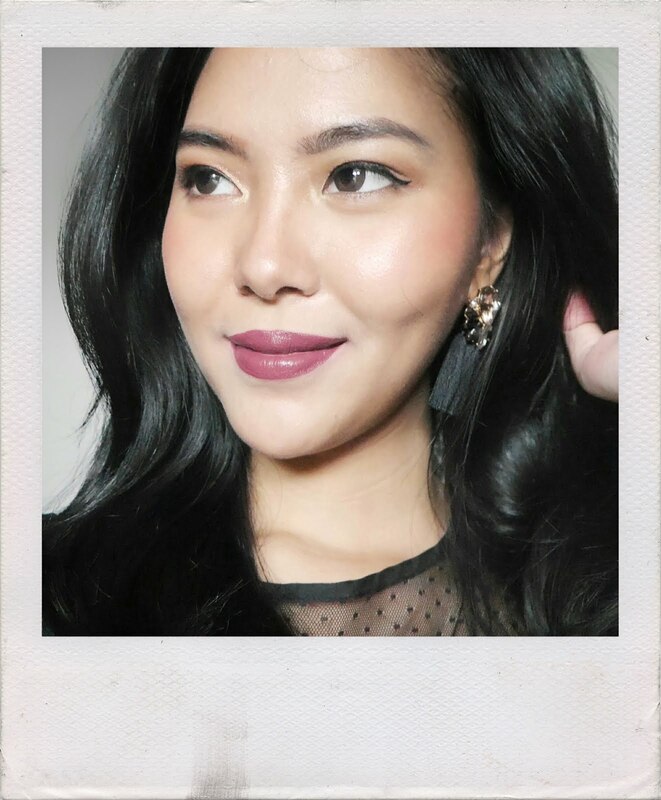 dari dulu penasaran ingin tahu rasanya pake double falsies! after reading this i definitely will try it! Hi, Imelda! You're welcome. Glad you like it and decided to try this trick. and i hope it's going to be useful.